This summer, don’t miss your chance to experience one of Lambda Chi Alpha’s finest undergraduate experiences, General Assembly. 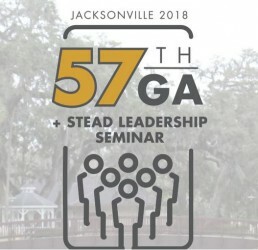 With two tracks available, General Assembly delegate and Stead Leadership Seminar participant, brothers will gain the knowledge and obtain the resources to become better leaders. You will have the opportunity to meet brothers from all over the world and work side by side with them on topics such as recruitment best practices and initiation ritual. For more information, click here. We hope to see you in Jacksonville this summer!